It’s hard enough to find a hot second to plop into a seat during the holiday season — what with all those holiday to-do lists we have to check far more than twice. So when you’re mid-holiday-meltdown and/or arguing politics with Grandma and a kid complains about their meal? Ain’t nobody got time for that. 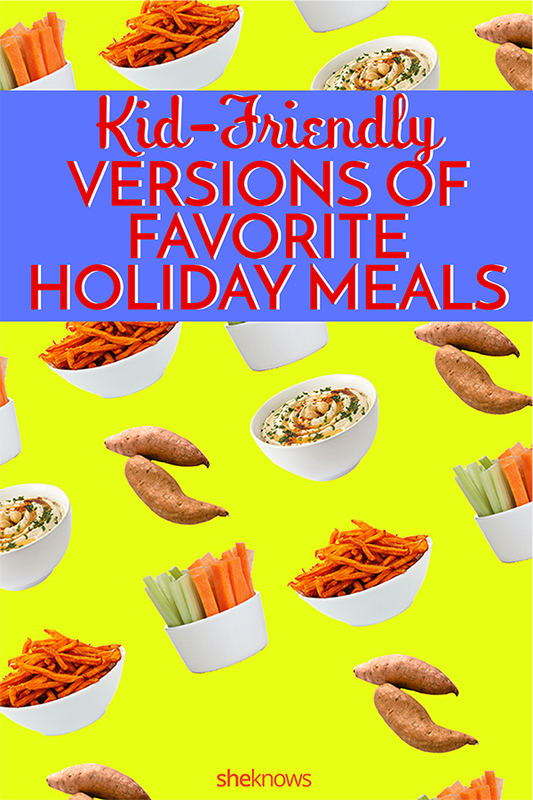 One way to ward off the whining: Transform your traditional holiday recipes into kid-friendly versions. “Aren’t most holiday staples appropriate for kids?” you ask. Well, sure. But picky eaters might turn up their noses at the sight of a yam, Brussels sprout or even a (*gasp! *) squash-based pie — you know, one that’s not covered in sprinkles. Here, some healthy, nonintimidating holiday meal makeovers and tweaks to try — so you can eat in (whole-grain) peace. While you may be a master at slicing the ideal hunk of roast beef for adult-size silverware, a 5-year-old might not know where to begin with his or her serving. Rice explains that when you specifically chop the roast beef into bite-size nibbles, you have a better chance of getting kids on board and munching. “Beef is an excellent source of iron, which is an important nutrient for toddlers,” Rice says. “It’s also good practice for self-feeding children to participate in the family meal and consume the same foods.” One thing to keep in mind, though, is that “because their immune systems are still developing, children under age 5 should not consume rare meat,” Rice adds. Sure, it might be easy to get a toddler chowing on mashed potatoes that are overloaded with butter and salt, but that doesn’t mean that’s a healthy solution for their diet. 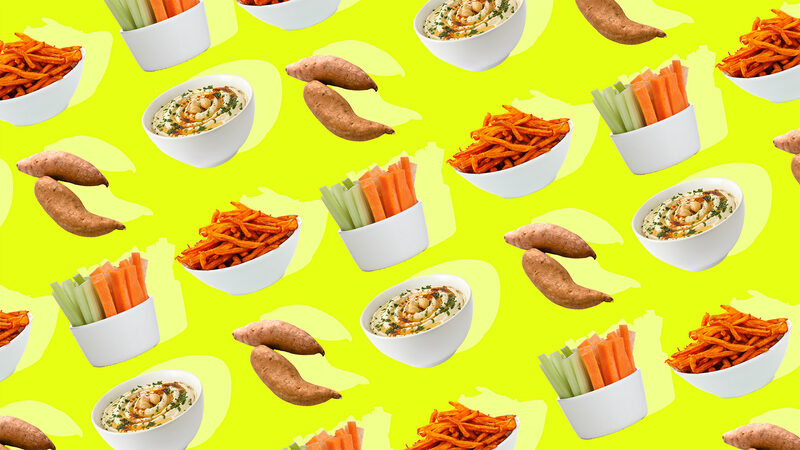 As Rice explains, the trouble with fatty taters is that kids might be tempted to make that the entire meal, which isn’t a balanced solution for their growing bellies — or the rest of their bodies either. Also, because some children aren’t great with lactose, too much butter might wreak havoc on their digestive system. That’s why using sour cream or yogurt as a mix-in is smarter: “Fermented foods such as cheese, yogurt and sour cream are fine… the fermentation process removes most of the lactose,” Rice explains. Because they’re ripe with spices that aren’t familiar to kiddos (who may or may not stick to ketchup as their preferred flavor for everything), pies can be surprisingly contentious foods for tots. If you’re trying to include kids in enjoying your dad’s classic recipe for pumpkin, sweet potato, mincemeat or really any non-chocolate pie, you might find yourself faced with quite the opposition.